This month’s theme was Traveling the Wizarding World! 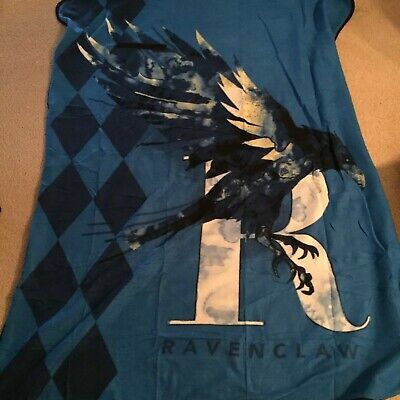 My mom decided to subscribe to this crate, so I have both Ravenclaw and Hufflepuff items to show you. From this point in there will be spoilers, so you’ve been warned. Super cute, although not well shaped enough to actually block light (but most inexpensive ones aren’t). Hmm, stickers. I guess that’s cool. Yeah, so this is just thin, cheap fleece… I will never use this. It just feels like they’ve run out of ideas now? Thestrals are cool, I like these magical creature pins. By the way, you can sign up for Loot Crate here and you will receive $5 off. The next theme for the Wizarding World box is Quidditch Through the Ages. Loot Crate’s description states: “Whether you’re leading your team to chase after the Golden Snitch or just cheering loudly from the stands, make a triumphant return to the Hogwarts™ Quidditch pitch. Gear up for the wizarding world’s favorite sport as you celebrate QUIDDITCH THROUGH THE AGES!” They are accepting orders through May 3rd, so if you’re interested be sure to click the link! I hope you enjoyed this unboxing, let me know what you think in the comments below and have a magical day!